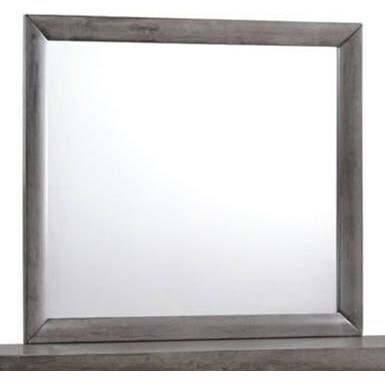 Highlighted by a beautiful wood frame, this mirror adds timeless style to your home. Featuring a wood frame completed with a lacquer finish, the piece fits well in most bedroom settings. Perfect for the top of a dresser or larger chest, this mirror will serve you well for years to come. The Emily Mirror with Wood Frame by Elements International at Zak's Home in the Tri-Cities, Johnson City, Tennessee area. Product availability may vary. Contact us for the most current availability on this product. 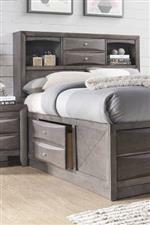 The Emily collection is a great option if you are looking for Casual furniture in the Tri-Cities, Johnson City, Tennessee area. Browse other items in the Emily collection from Zak's Home in the Tri-Cities, Johnson City, Tennessee area.